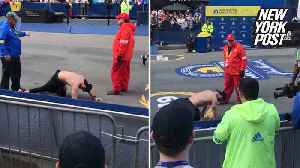 Micah Herndon showed true determination by crawling on his hands and knees to the finish line of the Boston Marathon on Monday (April 15). 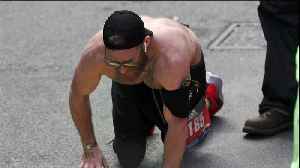 Originally from Tallmadge, Ohio, he ran the marathon to pay tribute to his three former Marine comrades who didn't survive an attack in Afghanistan in 2010. "Determination and grit at its best. War and athletic hero" wrote the filmer who shot the video from the finishing stands. 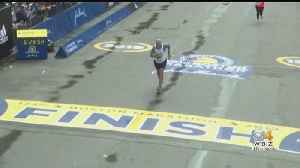 Herndon crossed the finish line with a time of three hours and 38 minutes to complete the 26.2 miles. 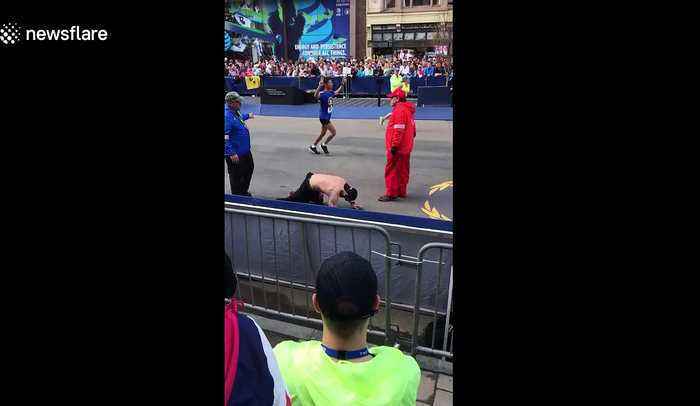 After crossing the line, he was reportedly lifted into a wheelchair and given medical attention. 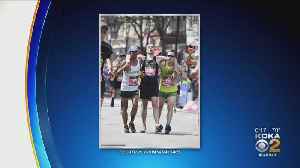 A Boston Marathon runner who survived the 2013 bombings took time out during Monday’s race for a poignant tribute to those killed that day. WBZ-TV's Paul Burton reports. 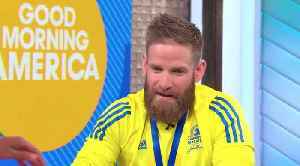 Meet the last local Boston Marathon runner to cross the finish line with an official time. WBZ-TV's David Wade reports. 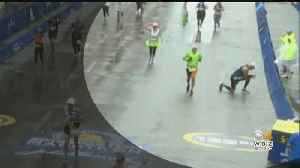 Marine veteran Micah Herndon finished the 2019 Boston Marathon on his hands and knees as a tribute to his comrades who fell in Afghanistan.